ELIEN: UFO seen in NASA video? 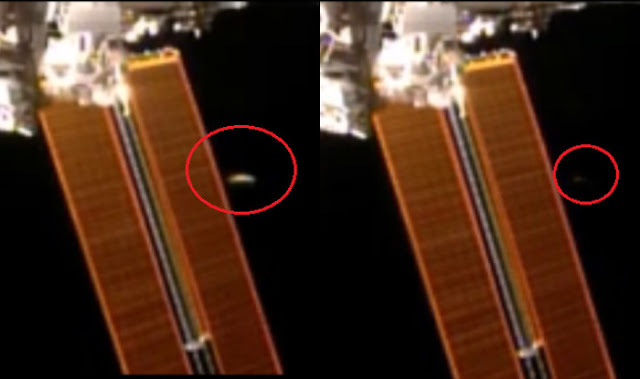 Watch bizarre alien ship coming close to the International Space Station! NASA has rubbished the rumours of the object being an alien aircraft and claims that it is just another satellite or some other form of space debris. There have been various breakthrough experiments and spotting in the past that have increased the interests of people in the possibility of life outside the planet and this video is the latest addition to this long list. The video has had UFO hunters excited even as NASA has rubbished these claims. The video was uploaded on YouTube by a space enthusiast, Streetcap1, who believed that the captured object was monumental on the path towards finding alien life. This is not the first time that a UFO has been spotted in 2017. In fact just last month, a large bus sized object was spotted in the sky in California which was believed to be an alien aircraft. Pictures of this bus life flying object instantly went viral and strengthened the arguments that life outside earth is not that far away. Even after NASA covering up the spotting as just a regular human-made object, people cannot stop reflecting over the possibilities of the UFO sighting. Various true alien life enthusiasts have claimed that NASA has been trying to cover up various alien activities from the commoners and believe that this may as well be one such incident.